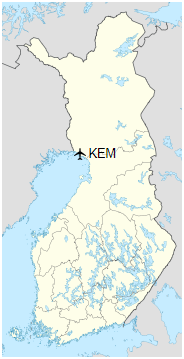 Kemi-Tornio Airport (IATA: KEM, ICAO: EFKE; Finnish: Kemi-Tornion lentoasema) is an airport in Kemi, Finland. 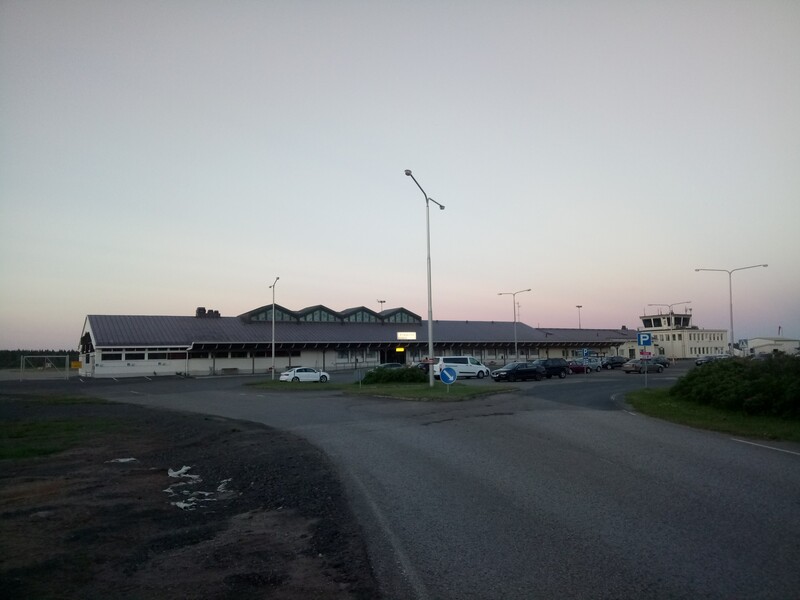 The airport is located near the district of Lautiosaari, east of the Kemijoki (Kemi River), 6 kilometres (3.7 mi) north of Kemi city centre and 18 kilometres (11 mi) east of Tornio city centre. The airport is owned and operated by Finavia. There is no public transportation directly to the airport. However, there is a bus stop around 700 metres (2,300 ft) from the airport. Airport taxi to Kemi takes around 15 minutes in travel time whereas the trip to Tornio takes approximately 25 minutes. There is a parking lot just in front of the terminal door.